It’s time for the Sinquefield Cup and I’ve looked at some twitter news! I usually like to follow this tournament, but not sure if there will be time blogging about it. These are some favourite tweets. Photos: Grand Chess Tour 2018 – What is Magnus thinking? Shahriyar Mamedyarov resigns on behalf of his team. I enjoy true stories. I am not a really big fan of science fiction stories or movies. If you want to treat me, give me a good cowboy book or movie, a real life story or a true story. This movie is about a true story of a Chess Champion. African true stories, and from some other places in the world, are inspiring, as the struggle to reach for dreams is so much more intense due to so many problems and issues people from developing countries need to deal with on a daily basis -things people from developed countries take for granted. Today, some of those problems and issues are because of certain countries in the West who tried to gain, only for themselves and who put leaders in place just to shush their conscience. They think they get things right, but they are totally wrong. I’m glad that there is, once again, a movie about chess, to show the power of this game in real life and to highlight the struggles of some people in this world. Walt Disney Pictures has revealed the colourful first Queen of Katwe poster. The true story of an inspiring chess champion stars Golden Globe nominee David Oyelowo (Selma, Interstellar), Oscar winner and Tony Award nominee Lupita Nyong’o (12 Years a Slave, Star Wars: The Force Awakens) and newcomer Madina Nalwanga. For 10-year-old Phiona Mutesi (Nalwanga) and her family, life in the impoverished slum of Katwe in Kampala, Uganda, is a constant struggle. Her mother, Harriet (Nyong’o), is fiercely determined to take care of her family and works tirelessly selling vegetables in the market to make sure her children are fed and have a roof over their heads. When Phiona meets Robert Katende (Oyelowo), a soccer player turned missionary who teaches local children chess, she is captivated. Chess requires a good deal of concentration, strategic thinking and risk taking, all skills which are applicable in everyday life, and Katende hopes to empower youth with the game. Phiona is impressed by the intelligence and wit the game requires and immediately shows potential. Recognizing Phiona’s natural aptitude for chess and the fighting spirit she’s inherited from her mother, Katende begins to mentor her, but Harriet is reluctant to provide any encouragement, not wanting to see her daughter disappointed. As Phiona begins to succeed in local chess competitions, Katende teaches her to read and write in order to pursue schooling. She quickly advances through the ranks in tournaments, but breaks away from her family to focus on her own life. Her mother eventually realizes that Phiona has a chance to excel and teams up with Katende to help her fulfill her extraordinary potential, escape a life of poverty and save her family. Fatherless and raised by his grandmother, thirteen year old Ricardo Galam lives in South Africa’s Cape Flats, a unique and volatile sub culture dominated by two Number gangs, the 26 and 28. Ricardo’s future as a chess prodigy is threatened by his growing interest in the 26 whose local leader is grooming him as a potential member. Unknown to Ricardo, the father he’s never known has been released from prison. Farakhan, a reformed general in the 28, is back in his old neighbourhood, an intruder in 26 territory. In a story that is at times raw and violent at other times touching and true. FOUR CORNERS is a gripping drama set against the backdrop of a gang war in Cape Town which has been raging for a 100 years; a little known fact. By watching this trailer, I don’t think I ever want to be in an area where any gangs are roaming and scavenging for anyone they can manipulate to their needs. It must be scary and you must feel intimidating to live in places like these, but the same time you feel sorry to know that there are people who only know one life and that’s this kind of life. Then the same time I wonder if you could change any adult who only knows this kind of life? This movie has received 13 Golden Horn nominations at the SAFTAs – South African Film and Television Awards March 2015. The Chess Players attributed to Karel van Mander. This was identified in 1916 as an image of Ben Jonson and Shakespeare playing chess. Most scholars consider this to be pure speculation, but the claim was revived in 2004 by Jeffrey Netto, who argued that the chess game symbolises “the well known professional rivalry between these figures in terms of a battle of wits”. Update: 2016 – Shakespeare died 400 years ago and today is Shakespeare day! I’ve decided to repost an entry of 4 years ago. Please enjoy my ‘contribution’ to Shakespeare day. The following is my entry of 2012. I’ve written another cento – I had to, because it’s a chess one! I’ve taken again Shakespeare lines – like my Moonrider-cento , where I also used Shakespeare. A cento is a form of poetry, where you use lines of different poems. In this case [like Moonrider], I’ve used lines of Shakespeare’s works – and not different poems. This cento was much easier to put together than Moonrider, as they are shorter lines and I didn’t really spent that much time thinking how to merge it into a poem that makes sense. I couldn’t give it a title other than ‘A Game of Chess’. I have made minor changes here and there – to the word order or adding of an exclamation mark – just for effect. This ‘poem‘ is almost like a dialogue – as it’s various characters speaking in role from Shakespeare’s plays. A horse! A horse! My kingdom for a horse! And I have horse – will follow where the game makes way. So, the good horse is mine. My day’s delight is past, my horse is gone. The rascal hath removed my horse. Are the knights ready to begin their triumph? I am undone! The knight is here! Great is the humour of this dreadful knight. I have not pawn’d to you my majesty? Wat says my bully rook? His queen, it was his queen! Queen of queens, how far dost thou excel? Sir your queen must overboard! Where’s the master? Play the men! Click on this link to read more about the Cento and to read what Folger Education think about my cento. I feel humble – you can view their comments in their comments box. Thank you! –Click on this link to see the complete list of chess quotes with the references to the works of Shakespeare. Enjoy Shakespeare day with some chess dancing! The World Chess Championship is coming to New York. The WCC, a one-on-one match administered by the World Chess Federation (FIDE), will be played in New York City this upcoming November, according to the Wall Street Journal. Magnus Carlsen, the highest ranked player in history who defended his title against India’s Viswanathan Anand in 2014, will play against a to-be-determined challenger from November 10 to November 30. As for finding the challenger, eight of the world’s best players (excluding Carlsen) will meet in Moscow to compete in the forthcoming Candidates Tournament, a double round robin bracket, to determine who will play against the 25-year-old Norwegian. 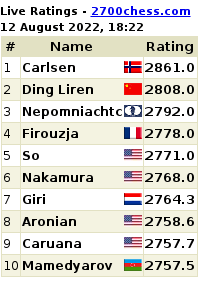 Among the eight are US Grandmasters Fabiano Caruana and Hikaru Nakamura. 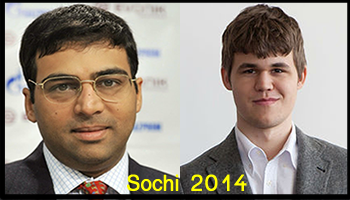 If either of them win in Moscow, they’ll have the chance to become the first American world champion since Bobby Fischer in the 1970s. 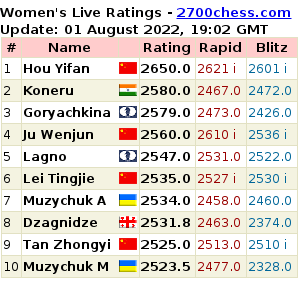 The other six Grandmasters in this year’s Candidates Tournament are Peter Svidler and Sergey Karjiakin of Russia, Anand from India, Veselin Topalov from Bulgaria, Anish Giri from the Netherlands and Levon Aronian from Armenia, according to Chess News. This is the first time in 21 years that the world champion in chess will be crowned on American soil. Back in 1995, Garry Kasparvov beat Anand in a 20-game match on the 107th floor of the World Trade Center. As for where exactly in New York the event will be held, the CEO of Agon, the commercial partner of FIDE and organizer of the WCC, told the WSJ that he is in discussions with several NY venues, including the World Trade Center. Who is going to be the winner? 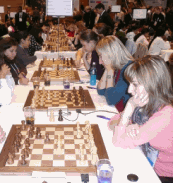 The World Chess Candidates that takes place on March 10 – 30, 2016, is a dramatic tournament which determines the challenger for the World Chess Championship. 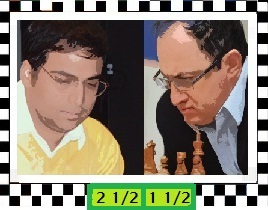 The winner will play a match for the title against reigning World Champion Magnus Carlsen in November in the US. 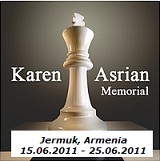 Please click here for live cover on chessdom. ROUND 1 Anand 1 – 0 Topalov Please click HERE to play through the game of GM Anand and GM Topalov. 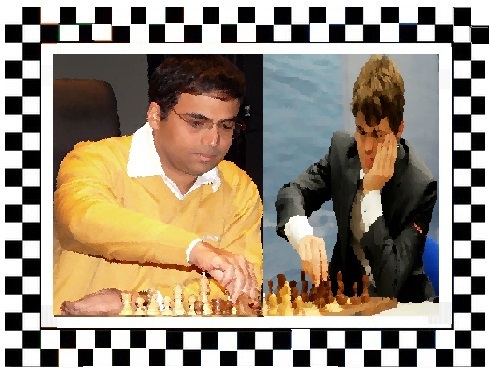 ROUND 2 – Please click HERE to play through the game of GM Aronian vs GM Anand. Congratulations to GM Sergey Karjakin! Sergey Karjakin is going to the FIDE World Chess Championship Final 2016 in New York after winning the Candidates Chess 2016 tournament with 8,5/14. In the decisive round 14 Karjakin won the final game against Fabiano Caruana and surged a full point ahead in the standings. The Russian player is going to face the defending champion Magnus Carlsen. Please click here to watch full videos of round 1. 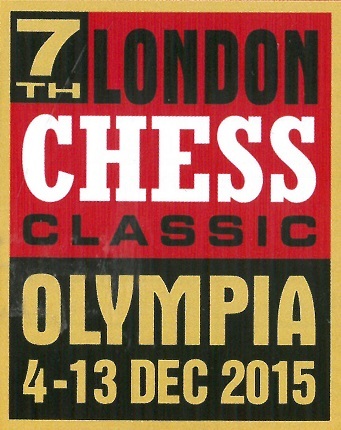 It’s again the London Chess Classic and these players are the participants this year.